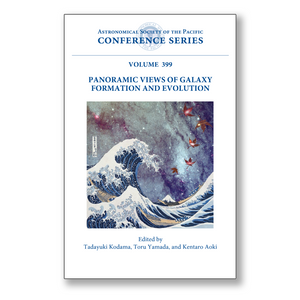 These proceedings of the first meeting of the Subaru International Conference Series held in December 2007 in Hayama, Japan, provide unique up-to-date overviews of the history of galaxy formation and the evolution of the universe. Fascinating and comprehensive observational results as well as many important theoretical achievements were presented by more than 150 active researchers from more than 15 countries and regions. The conference started off with results from recent cutting-edge observations of the very high-redshift universe extending into the cosmic reionization era, together with some theoretical interpretations and predictions for the first generation of galaxies. The history of mass distributions and structure formation at later cosmic times, including clusters of galaxies, was discussed extensively in presentations based on various panoramic survey data sets. Our aim was to showcase and understand the intrinsic galaxy-formation bias in the high-redshift universe and also the role of external environmental effects during the hierarchical assembly of galaxies into denser regions. Various populations of distant galaxies at different redshifts, discovered and studies by many different techniques, were introduced along with the physical relationship between these populations. Our discussion were aimed at assembling these pieces of jigsaw puzzles together into a panoramic and yet detailed structures of the Milky Way Galaxy and the Local Group galaxies were also presented and discussed as a complementary approach to the studies of the high-redshift Universe. In total, 19 invited talks, 46 contributed talks, and 87 poster papers combined to build up a picture of the history of galaxies over the cosmic age. This book is suitable for researchers who are interested in both observational and theoretical aspects of galaxy formation and cosmology, and especially for students seeking an overview of knowledge about galaxy formation to date.